Every year our friends The Neighbourhood Strays produce a wonderful event, celebrating women and bellydance in Newfoundland. 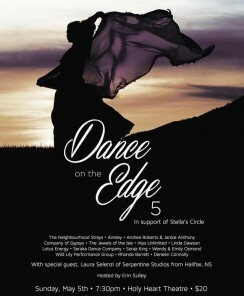 This year’s show is scheduled for Sunday, May 5 at Holy Heart Theatre and is in support of Stella’s Circle (a local women’s shelter and charity). 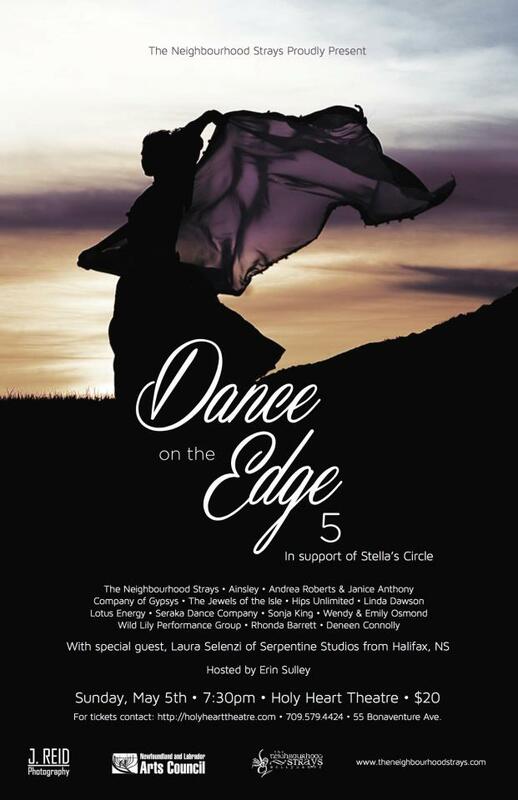 There is an amazing line up this year with performances by special guest Laura Selenzi of Serpentine Studios in Halifax, as well as local artists Ainsley Dicks, Jewels of the Isle, Lotus Energy, Rhonda Barrett, Wild Lily Performance Group and The Neighbourhood Strays. You can read all about the details on their facebook event, found here. We’ve been hard at it in the studio, creating two very new, very contrasting pieces for this show that we’re very excited to share with you. Our second piece, Bus to Balkans, is not at all that deep or emotionally charged. We’re dancing a zazzly piece that is all about having fun, being a little sassy, and not taking yourself too seriously. We’ve combined our signature style of combinations and dance with the added delight of finger cymbals. It’s a new zone for us, incorporating that much embellishment on the cymbals, but we’re working hard and we’re really excited about playing our zills again. We’ve missed them dearly, or at least I have. It’s hard work and we have a lot to practise before it’s ready to put on the stage, but we’re getting there. Woo! We also have new costumes too, lavishly beaded and overwhelmed with rhinestones and laces. So grab a friend or two, get your tickets, and come enjoy the evening!